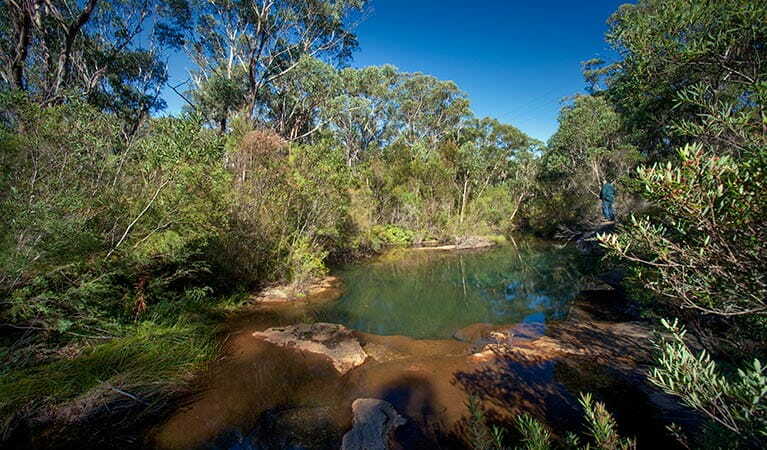 NSW national parks' karst environments are among the oldest and most complex in the world. Exposed rock, geological features, and decorative caves of extensive karst systems make up some of the most inspiring landscapes in NSW national parks. Enjoy the visual treasures of Jenolan, Wombeyan, Yarrangobilly and Abercrombie caves. Enormous cliff faces and waterfalls display the geology of Blue Mountains. Further afield, you can explore volcanic landforms at Warrumbungle and Mount Kaputar national parks, as well as the Aeolian features of Mungo National Park. Through geology management programs, NSW National Parks actively conserve the state’s caves and karst environments, including Jenolan Caves and Wombeyan Caves. Famous for its incredible limestone caves, Abercrombie Karst Conservation Reserve offers great bushwalking, waterfalls and picturesque camping for the whole family. An Abercrombie Caves tour is an unforgettable experience. Explore the caves at Jenolan Karst Conservation Reserve. Not far from Oberon, it’s a great daytrip or weekend away; you can stay overnight in heritage accommodation.